Understanding the junior hockey landscape and how the USHL is putting players on the path to success. You’re serious about hockey. You’re getting better every day and you’re performing at a high level with your current team. You’re ready to explore your options on how to reach the next level and achieve your goals. Which development path is right for you? Junior hockey is the logical choice – but the different leagues, rules and opportunities can be confusing in both the U.S. and Canada. There’s a lot of information and clutter out there. We can help you navigate the junior hockey landscape. There are three different tiers (or levels) of junior hockey in the United States. The USA Hockey Junior Council certifies these leagues and teams annually to their respective classifications based on quality of play and operations standards. The USHL is the only Tier 1 hockey league in the U.S. It is the highest level of junior competition in the country. The USHL is NCAA-protected, meaning its players will maintain their college hockey eligibility, and the reason that it is heavily-scouted by college coaches. It is also the only level that has no cost to the player. All equipment "head to toe" is provided by the team, in addition to top-quality billet housing provided for by the team. The USHL maintains the highest of standards, including some of the best coaches and staffs in the sport of hockey, top-quality on and off-ice facilities, and a schedule to balances a maximum and minimum number of league games with a proper practice-to-game ratio. Another unique aspect of the USHL is the maintenance of balanced age groupings with a diminished number of 20-year-old players and relatively balanced under-17, 18, and 19 age categories. It is about development and moving players up to the next levels of the sport. Former Green Bay Gambler and current San Jose Sharks forward Adam Burish knew which route he had to go and why. “It was kind of a no-brainer. I had to go there. 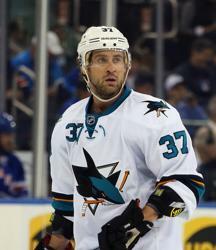 It was the best league,” said Burish, a 9-year NHL veteran, Stanley Cup champion and former NCAA champion. The North American Hockey League (NAHL) is the only Tier 2 league in the U.S. It is a step below the USHL in terms of talent and standards, but it still maintains a strong level of competition. It has an increased number of 20-year-olds on team rosters and maintains the college eligibility of its players. It is scouted by NCAA Division I and Division III programs. Most of the junior hockey leagues in the U.S. are Tier 3 – the Eastern Hockey League (EHL), North American 3 Hockey League (NA3HL), U.S. Premier Hockey League (USPHL), Minnesota Junior Hockey League (MJHL), Metropolitan Junior Hockey League (MJHL) and Northern Pacific Hockey League (NPHL). These are a step below the NAHL and two steps below the USHL and all are "pay to play" leagues. They do not maintain as high level of standards as the USHL and are not as highly-scouted by NCAA coaches. All three tiers of junior hockey in the U.S. are NCAA-protected, unlike Major Juniors. What About Canada and Major Juniors? In Canada, the three tiers of junior hockey are Major Juniors, Junior A and Junior B/C/D. The Canadian Hockey League (CHL) houses three Major Junior leagues – the Quebec Major Junior Hockey League (QMJHL), Ontario Hockey League (OHL) and Western Hockey League (WHL). Once a kid plays one game of Major Juniors, their NCAA eligibility will be voided. College hockey will no longer be an option. So when a player turns 20 years old and has aged out of the league (Editor’s Note: Major Juniors will allow three 20-year-olds per team, but no more and no older than that), they have no choice but to hope they can sign a pro hockey contract instead of further developing in an amateur setting such as the NCAA, where they can also continue to work toward their college degree. The Canadian Junior Hockey League currently governs the 10 Junior A leagues spread throughout Canada, including the British Columbia Hockey League (BCHL), Alberta Junior Hockey League (AJHL), Saskatchewan Junior Hockey League (SJHL), Manitoba Junior Hockey League (MJHL), Superior International Junior Hockey League (SIJHL), Northern Ontario Junior Hockey League (NOJHL), Ontario Junior Hockey League (OJHL), Central Canada Hockey League (CCHL), Quebec Junior Hockey League (LHJQ) and Maritime Junior A Hockey League (MHL). These are not considered Major Juniors and players will maintain NCAA eligibility. Junior B/C/D leagues are less competitive and are more locally based programs in Canada that feed into their local minor hockey teams. These leagues produce some college players but not nearly as many as the USHL. The numbers don’t lie. There are currently 247 USHL alums under contract in the NHL and 270 (and counting) current USHL players already have commitments to play college hockey. It is the preferred route to NCAA hockey, which is becoming the preferred route to the NHL. In the 2013-14 season, 31 percent of all NHL players played NCAA hockey. When it comes to education, the NCAA recently reported that 92.1 percent of college hockey players earn their degree – the highest rate in all of college athletics. It should also be noted that these players are graduating from top American universities. Education is highly valued in the USHL and in college hockey. The USHL has been operating in its current form since 2002, when USA Hockey appointed it as the only Tier 1 junior hockey league in the country. The USHL has 17 teams located throughout the Midwest. The regular season champions are awarded the Anderson Cup while the playoffs culminate with the Clark Cup championship. “Just the bond that you create with those guys and just being at the rink – it’s almost like being a professional,” said Kyle Okposo, current New York Islanders forward and former Clark Cup champion with the Des Moines Buccaneers. More than $250 million dollars have been spent on USHL facility construction and renovations within the past five years. Just this fall, a brand-new $130 million facility – the Denny Sanford PREMIER Center – opened its doors for the Sioux Falls Stampede. Ralston Arena, home of the Omaha Lancers, opened just two years ago. These markets have embraced their teams and support them every night. If you’re looking for the best league, best experience and best development opportunity, the USHL is the best choice.